eXtensions196 – ProHair Hair Extensions look and feel like natural hair. So far eXtensions196 has created 3 blog entries. 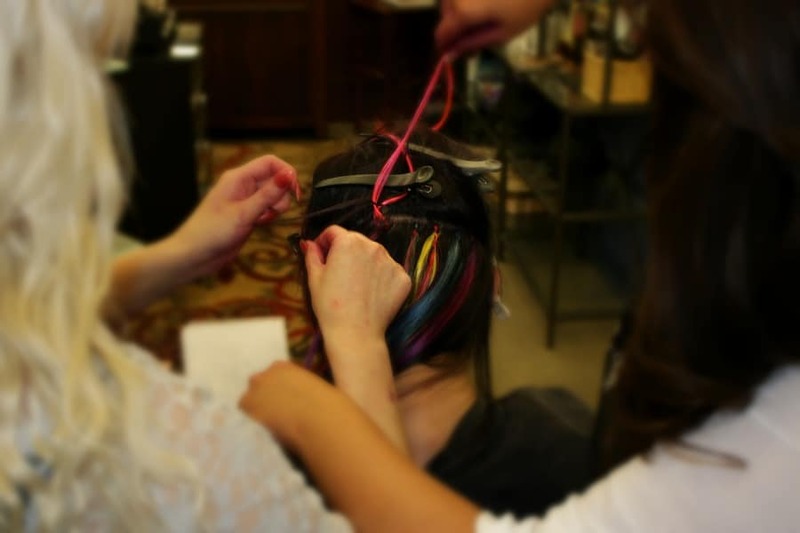 Here is another photo featuring a closeup of the second-hand method of applying ProHair extensions in a class. The demand for high quality extensions is continues to grow with celebrities demonstrating the versatility of changing your style through extensions. Being able to offer this exciting, profitable service to your clients keeps you in the forefront of creative hairdressing. Here is an example of the two-hand method of fiber hair extensions application. This method is where a stylist and and an assistant work together to apply the extensions into the clients' hair.